Belize trained psychiatric nurse practitioners (PNPs) in the early 1990s to provide mental health services throughout the country. Despite overwhelming success, the program is limited by lack of monitoring, evaluation, and surveillance. To promote quality assurance, we developed a chart audit tool to monitor mental healthcare delivery compliance for initial psychiatric assessment notes completed by PNPs. After reviewing the Belize Health Information System electronic medical record system, we developed a clinical audit tool to capture 20 essential components for initial assessment clinical notes. The audit tool was then piloted for initial assessment notes completed during July through September of 2013. One hundred and thirty-four initial psychiatric interviews were audited. The average chart score among all PNPs was 9.57, ranging from 3 to 15. Twenty-three charts—or 17.2 %—had a score of 14 or higher and met a 70 % compliance benchmark goal. Among indicators most frequently omitted included labs ordered and named (15.7 %) and psychiatric diagnosis (21.6 %). Explicit statement of medications initiated with dose and frequency occurred in 47.0 % of charts. Our findings provide direction for training and improvement, such as emphasizing the importance of naming labs ordered, medications and doses prescribed, and psychiatric diagnoses in initial assessment clinical notes. We hope this initial assessment helps enhance mental health delivery compliance by prompting creation of BHIS templates, development of audits tools for revisit follow-up visits, and establishment of corrective actions for low-scoring practitioners. These efforts may serve as a model for implementing quality assurance programming in other low resource settings. The authors would like to thank the Belize Ministry of Health for their partnership, support and enthusiasm. We thank the Stanford University Center for Innovation in Global Health for their financial support of the first author’s travel to Belize. Government of Belize. People. 2013. http://www.belize.gov.bz/index.php/people. Accessed August 24 2013. World Health Organization. WHO-AIMS Report on Mental Health System in Belize. Belize city. 2009. http://health.gov.bz/www/publications/mental-health/337-who-aims-report-on-mental-health-systems-in-belize. Accessed August 25 2013. World Health Organization. Prioritizing mental health services in the community. 2009. http://www2.paho.org/hq/dmdocuments/2009/Belize-Country-Summary-March-2009.pdf. Accessed August 1 2013. World Health Organization and World Organization of Family Doctors. 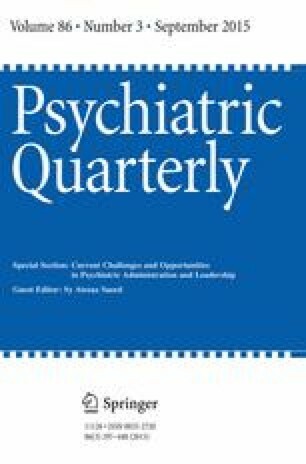 Integrating mental health into primary care: a global perspective. 2008. http://www.who.int/mental_health/policy/Integratingmhintoprimarycare2008_lastversion.pdf. Accessed May 5 2012. Government of Belize. Belize National Mental Health Policy 2010–2015. http://health.gov.bz/www/publications/mental-health/449-belize-national-mental-health-policy. Accessed August 1 2013. Belize Ministry of Health. Belize Health Information System. http://health.gov.bz/www/health-projects/health-information-system/bhis-expansion. Accessed October 24 2013.